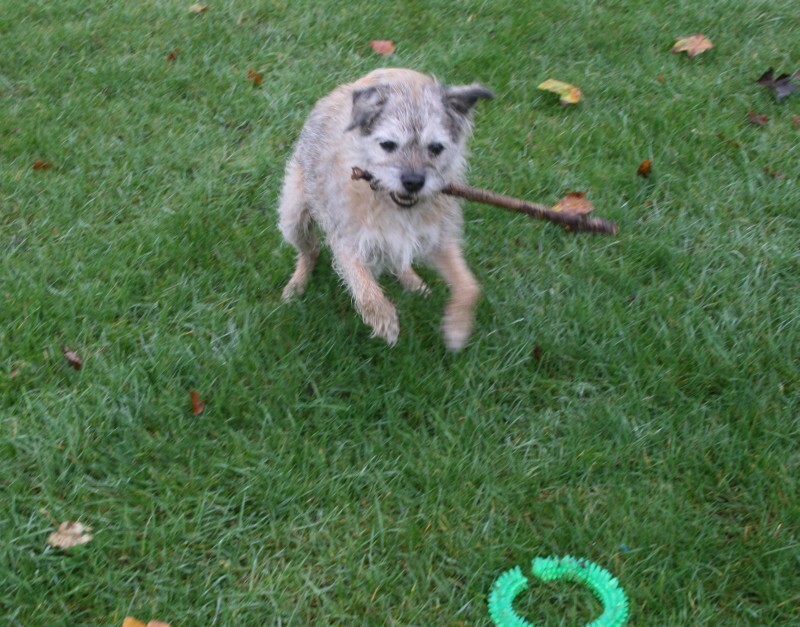 The picture shows Harry pouncing on a toy he has just found - a green ring that has been broken and left behind, or lost, by another dog. But Harry did not give up his stick for the ring. The stick is still best. I quite agree Harry my names Herbie I is Border to... stick always winss! The heart knows what it wants. Or the mouth, in this case.